Attendance tracking is an essential part of running a successful childcare business. 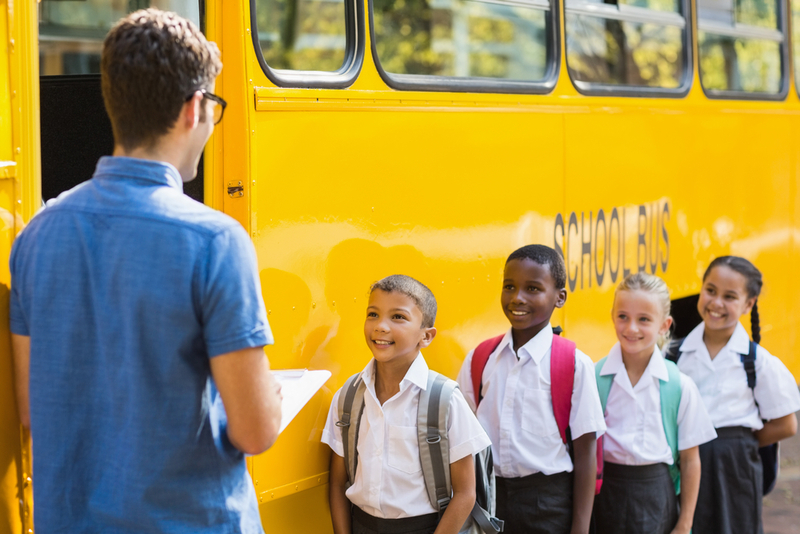 From planning and budgeting to security, taking accurate attendance underlies all the basic business operations for daycares, pre-schools, camps, and afterschool care programs. EZChildTrack automates attendance tracking to streamline the process and provide accurate numbers for every facet of your business. Why Is Attendance Tracking Essential? Accurate attendance numbers taken daily and by activity enable you to plan for future enrollment. If you know how many children attend your center throughout the year, you can hire the appropriate numbers of teachers and caretakers as well as budget and purchase the correct number of supplies. Taking attendance by activity provides insight into which activities are the most popular and which require either more marketing to build awareness or cancellation from lack of interest. Understanding what your current clients value about your business informs your marketing strategy and activity planning for future groups of children. When you run a business, you need to know how many full-time equivalents you employ. FTE metrics are critical for determining your needs for hiring, enrollment, and scheduling. If you have more employees than you need, you will pay out more in payroll than you make with tuition. If you have too few FTEs, you cannot meet the child to teacher ratios mandated by the state or local government. Also, you will overload the staff you have, creating a security and safety issue. Creating documentation for government requirements is a primary goal of taking accurate attendance. You need auditable attendance records for licensing, transportation, subsidized care payments, as well as meeting the staff to child ratio requirements by age group. Finally, accurate daily attendance numbers are required to maintain a secure facility and to determine the amount and type of insurance you need to cover yourself, your employees, your client’s children, and your facility. Using digital devices streamlines the check in and check out process. Instead of parents milling about looking for the right roster sheet to sign, they can enter a unique code into a tablet or PC to check in and out one or more children in seconds. Another option is to use a barcode scanner or badge reader to scan children in and out of the center quickly. This can be particularly helpful if you offer car-side drop-off and pickup. Many childcare management software solutions provide an array of report types. If you still use paper rosters, you can print multiple pages for replacement as needed without delays in the morning or afternoon rush. You can create incident reports for your records. Printed rosters can be manually transferred to the attendance application, although you won’t achieve the efficiency you could see if you by-passed paper in favor of entering the information directly into a digital device. Monitoring staff attendance is crucial for payroll purposes and to prove you have adequate staff to student ratios at all times. Each staff member receives a unique code to use for clocking in and out each day, providing evidence for audit and to help with the planning of activities and enrollment numbers. 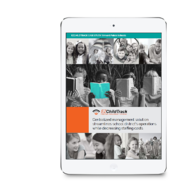 For childcare businesses with multiple locations, EZChildTrack’s attendance application allows you to manage the staff database for multiple sites and centers as well as at the organizational and site level. If you need staff to work at more than one facility, you can associate them with multiple centers if required. With digital staff attendance, it’s easy to review the daily record for budgeting, payroll, and performance purposes. As we mentioned before, taking attendance using a digital device for recording time and date directly into your childcare management software streamlines an otherwise cumbersome process and eliminates many of the data entry errors that can occur when paper rosters are entered manually into the computer. One benefit for parents is the ability to check in and check out multiple children as needed, instead of requiring multiple sign-ins and sign-outs for each family or group. The ability to record attendance per activity helps you determine which events are perhaps underutilized, or alternatively, are so popular you need to add more sessions. Whenever you take children outside the center, you can easily keep track of every one of them to ensure you come back with the same number (and the same children) as when you left. Automated attendance creates the audit trail necessary to maintain licensing, and it saves storage space because you don't have boxes of rosters to file and keep. For the best childcare experience for your clients, the children, and your staff, there are several best practices you can follow. Set clear expectations with parents about the check in and check out process at your facility. Create clear templates for attendance tracking. If you are using printed rosters, preprint a large number and store them close to the check-in area to avoid running out at the wrong time. Ensure accuracy and compliance with the check in and check out procedure by placing a staff member in the area to ensure signatures, times and dates are correctly recorded. Provide a digital clock for manual check in and check out to eliminate issues with time. Moving to digital attendance taking improves your process by eliminating errors, keeping accurate times, dates, and numbers, and eliminating the need for paper storage of files. When it comes time to renew your license it’s much quicker to print out your attendance records and create reports from your childcare management solution than to find, consolidate, and go through multiple physical files, which may be riddled with errors. A paper roster requires signatures. If a parent skips signing the roster, you can’t have them go back and sign it later. Digital attendance using a unique identifying code records the time and date plus it acts as a digital signature each and every time the parent uses it. Digital attendance tracking reduces your administrative overhead as well as your budget for storage, paper, and ink. You no longer need someone to transfer data from paper into a computer. You can review attendance in real time from anywhere using any device with a web browser. If you have multiple facilities or wish to work from home, the EZChildTrack childcare management solution gives you that freedom and flexibility.